According to the American Heart Association, one out of every 20 people below the age of 40 has heart disease, a diagnosis that may still be unknown to individuals before they seek treatment for related complications. Heart-healthy diets may limit saturated fat and sodium, but they don’t have to skimp on flavor while boosting your heart health. For anyone with dietary restrictions, a trip out to a restaurant can be stressful. At home, there is a sense of control over food, but once out of that environment, decadent dishes become all too tempting. 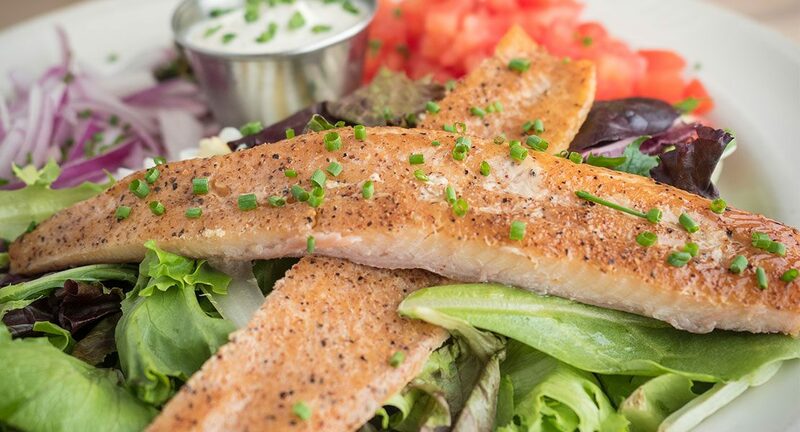 The Brick Tavern Inn is one of many local restaurants that serves up tasty dishes with fewer than 350 mg of sodium and 550 calories, with saturated fat making up less than 7 percent of those calories. Heart Healthy Tilapia meets those guidelines making it a heart-healthy dish according to Debbie Cooper, RD, LDN.